I don’t care what it is, if I see leopard print anything I have to have it! I don’t really know why, it just speaks to me. 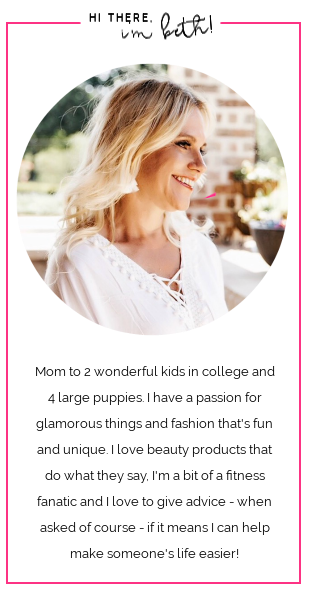 It’s like anything hot pink – gotta have that too (I discussed my love for hot pink here!). Leopard print rug – yep! 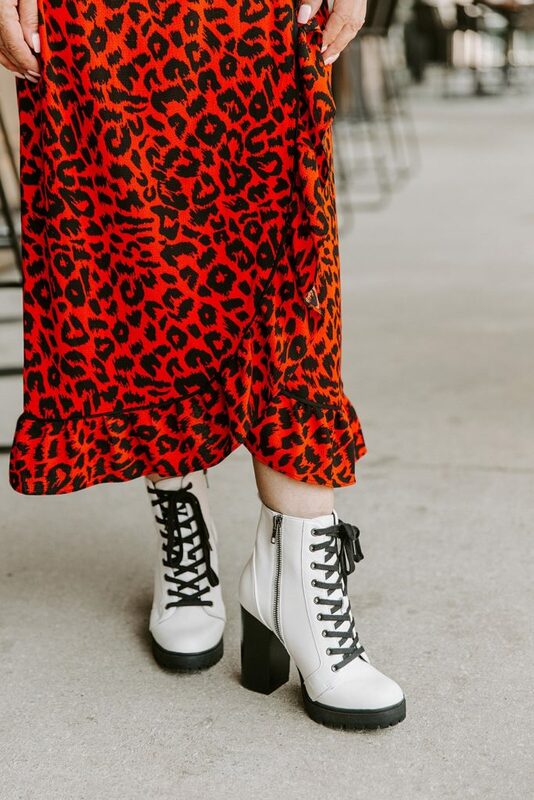 Leopard print shoes – yes please! Leopard print belt, bag, earrings – yes, yes, yes!!! Am I being clear? Leopard print has been a fashion staple as far back as the 1920’s and has never gone out of style! As an accessory it’s an instant outfit booster or if you’re bold enough to don a pair of leopard print pants or a coat, it just screams glam! And even though it’s a print, it acts as a neutral like black, white and grey. It goes with just about any other color and even pairs great with other prints! Which is what makes it so great! There’s so many options the Fall to add it to your wardrobe and I love it when I find something that’s just a little bit different than the normal print. This TopShop dress is one of them! 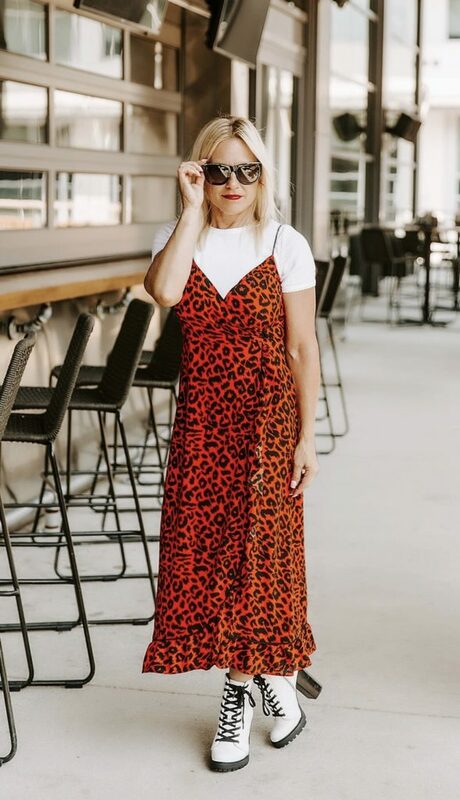 The red print is fun and interesting and red is another great color going into Fall and it’s a wrap dress which makes it even better. I would wear wrap dresses all day if I could. They’re so effortless to put on and so comfortable to wear. And they flatter just about every figure! I hesitated buying this dress because of the spaghetti straps and I thought I’d get maybe one or two wears out of it and then it would sit in my closet until Spring but I love to layer a dress like this with a sleeved top underneath! It makes this dress an all season piece which is definitely a great buy! The booties I bought on a whim – with a little encouragement from my GF’s and I have gotten so many compliments on them. They’re just fun and they literally can make any outfit stand out! These are from last year but these and these are great options too. Oh, I almost forgot about the leather! A simple leather jacket like this one (which is actually faux leather) that you can throw on when the weather changes is a must have for Fall and Winter. 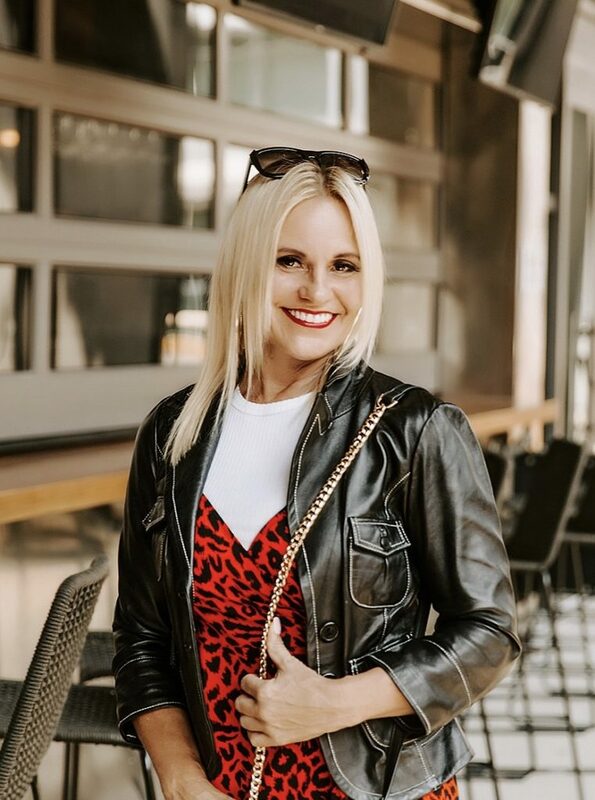 Just like Leopard print, leather always adds a little flair to an outfit and the two just seem to compliment each other when worn together. 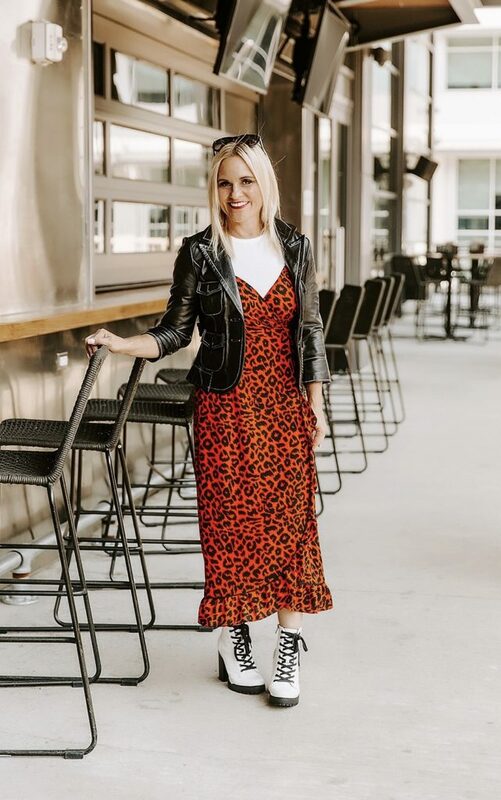 I’ve literally found so many great things to wear this season that are leopard print I’m going to have to dedicate an entire blog post to All Things Leopard Print soon! If it’s not something you’ve ever considered wearing, this Fall is definitely the time to try!! Just go for it! You really can’t go wrong! This whole outfit is perfect! I would never have though to put the cute white tip under the dress but I love it! I know me either and then I remembered seeing someone layer a turtleneck underneath a sleeveless dress once and gave it a try! I actually like it better with the top than without!